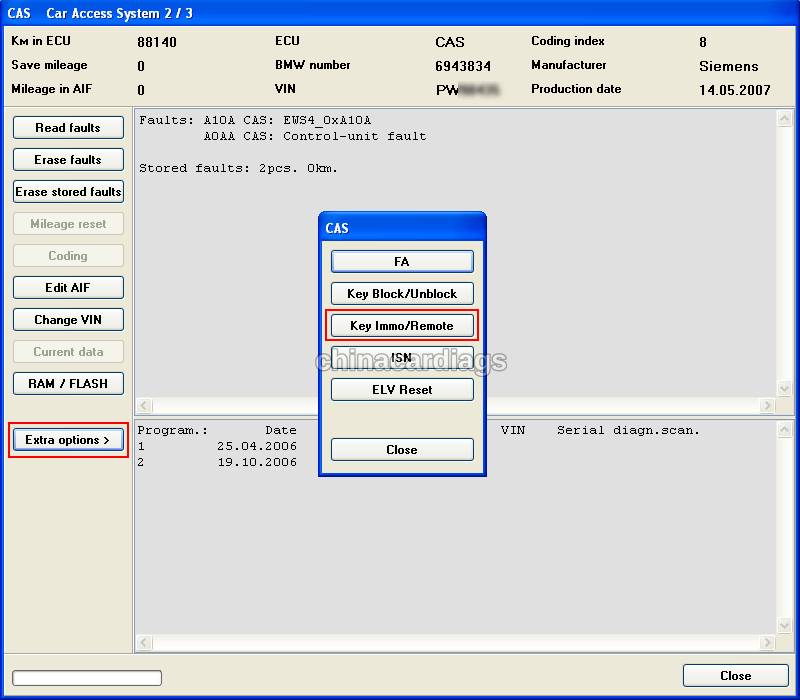 BMW Explorer is able to read/write keys: done with BMW E/F scanner II Go to the CAS, select “Extra options >” and “Key IMMO/Remote”. manually enter the key data in the appropriate fields and then write data to the CAS. If you change any data in the key field is painted in red. In front of each key you have a button a certain key(track) record. To record the key(track) you must click on the red circle on the right side opposite the recording key(track). Immobilizer (IMMO), and data radio (RADIO) will be recorded simultaneously. There is is green button with a plus on the right side of each key(track) – to download a “file-container”. Download the file container prepared by HiTag2 or Master Key programmers and press write (red circle). Insert the key into the ignition lock, wait for 10 seconds and start the car. 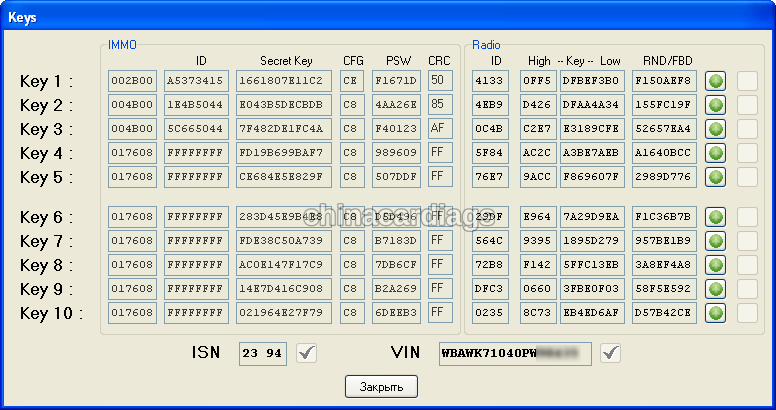 You can also rewrite synchronization code of ISN as well as VIN-number. On BMW models equipped with ELV (steering wheel lock), CAS ECU can switch to “transport mode” and lose communication with ELV . You will see Locked steering wheel sign on instrument cluster and permanent internal error code in CAS . In this case you must do “Reset ELV”.